- Involves altering habitat to reduce desirability for gophers. - Example includes removing preferred foods (i.e., clover, nutsedge) of gophers. - Relies on natural predators (e.g., owls, snakes) to control gophers. - Relies on methods to deter gophers from causing damage. - Examples: chemical repellents and sonic stakes; do not appear to work. - Poison baits fall into two categories: anticoagulants and acute toxins. - Anticoagulants (e.g., diphacinone, chlorophacinone) require multiple feedings. - Acute toxins (e.g., zinc phosphide, strychnine) often are restricted-use materials. - Can be effective for pocket gophers. - Read labels for application instruction. - Burrow builder can also be used to treat large areas for gophers although efficacy appears to vary. - Involves use of poison gas in burrow to control gophers. - Examples include aluminum phosphide (restricted-use material) and gas cartridges. - Gas cartridges not effective for pocket gophers. - Aluminum phosphide very effective for pocket gophers. - Use of carbon monoxide (e.g., vehicular exhaust) is not legal for use in California. - Involves combustion of propane and oxygen in burrow system to dispatch gophers through concussive force; also destroys burrow system. - May not be overly effective. - Has potential hazards including injury to user, destruction of underground pipes, and causing fires. Also very loud, so not appropriate in residential areas. - Involves lethal control through physical capture. - Many kinds of traps available with varying degrees of effectiveness. - Has many positive qualities including knowledge that you killed the target animal, no use of toxic chemicals, available for use in organic setting, and can be efficient and economical once user becomes proficient at trapping. Step 1: Locate freshest mounding activity. Key is to look for mounds that contain moist dirt. If you are unsure how to detect fresh mounds, you can knock down old mounds 1–2 days before trapping. Then all new mounds should be fresh and active. If following rain or irrigation, it is best to wait 1–2 days before trapping. Gophers are relatively inactive immediately following watering events. However 1–2 days after these watering events, gophers are typically very active and fresh mounds are easy to discern. Step 2: Use probe to find gopher tunnels (Fig. 1). Start by finding the plug of the mound and then start probing anywhere from 4–12 inches behind this plug. You will know you have found the tunnel when you feel a drop in the probe (i.e., less resistance) of a couple of inches. Tunnels are usually 6–12 inches below the surface, though they will occasionally be deeper. Finding tunnels takes patience and skill. Practice will eventually yield much quicker tunnel detection. Step 3: Dig down to tunnel. Clear out tunnel until opening is just big enough to insert trap. Step 4: Set traps and place into tunnels (Fig. 2). Push traps back until the entire trap is within the tunnel. Stake traps down (wire flags work great) so the gopher or predator does not run off with the trap. These stakes can also serve as markers to indicate where you set the trap. Step 5 (optional): Cover trap-hole up with sod, plywood, canvas, or some other material to keep light from entering tunnel system. However, recent research has shown that this step is not necessary in most cases, and in fact, leaving trap-holes uncovered can save much time when setting and checking many traps. Step 6: Check traps 24–48 hours later. If no activity, move to new tunnel system. Figure 2. Illustration of gopher trap-sets. Much information is currently available to assist with wildlife pest problems. I’ve listed a number of websites below that may be of use when dealing with such situations. 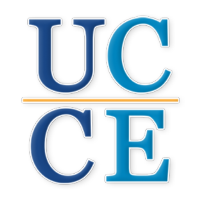 UCCE Vertebrate Pest Control Education Videos.—Superb resource for all aspects related to California ground squirrels, pocket gophers, and meadow voles. California Department of Pesticide Regulation Endangered Species Query.—Allows the applicator or landowner to determine if any endangered species are found at a location where pesticides are to be used. Simply add information to query to determine if any endangered species are present and need to be considered before applying the pesticide of interest. The Vertebrate Pest Control Handbook.—Contains extensive information on many subjects pertaining to wildlife pests in California including information on general biology of California birds and mammals, laws and regulations, the role of wildlife in spreading disease, and information on the use of toxicants and fumigants for controlling wildlife pests in California.